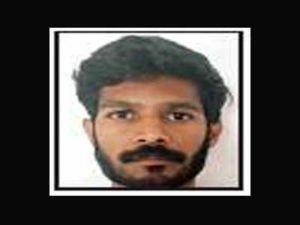 Police Report: On Sunday, the police said that a 29-year-old man was arrested after he allegedly raped a woman inside the CPM’s area committee office at Cheruplassery at the district of Palakkad. 29-year-old Prakashan was arrested by the police on Saturday and was brought to a local court. Prakashan has been remanded to 14 days in judicial custody. On March 16, the police found an abandoned newborn infant along the road. After tracing the mother of the baby girl, they found out that she was raped inside the office of CPI(M) 10 months ago by 29-year-old Prakashan. In the complaint that was filed by the woman, she said that she went to the office of the CPM for the preparation of a college magazine when Prakashan raped her. Officials said that Prakashan and the woman studied together at Cheruplassery in a private college. Prakashan also promised to marry the woman, the police has also filed a case against the woman for abandoning the newborn baby. Police Inspector P Pramod said that 29-year-old Prakashan will be taken to the office for collecting pieces of evidence that will be used in the case. The police have not yet interviewed the woman as she is still admitted in the hospital.